It’s a flashback foursome to last decade! I take a look at a creature feature, a couple of indie slashers, and a vampire comedy. 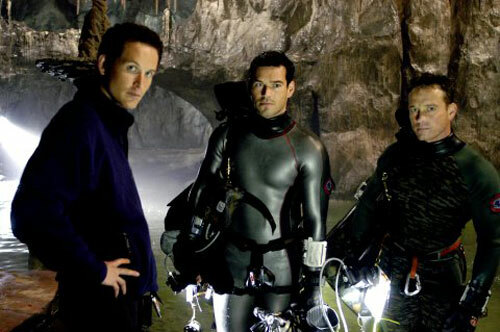 Action/sci-fi/horror creature feature The Cave didn’t get much love when it was released, but a year later The Descent, with a vaguely similar premise, was better embraced by the horror crowd. 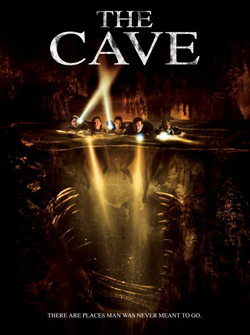 While The Descent has a bunch of women trapped in underground caves with humanoid creatures, The Cave oozes testosterone—a group of mostly men are stuck in underground caves with prehistoric creatures. An archaeological team heads into the remains of an old church that was buried by a landslide decades before and ends up in underground caverns, where they discover a parasitic creature that appears to have mutated members of past excavations into cool winged monsters. Well cool and man-eating. 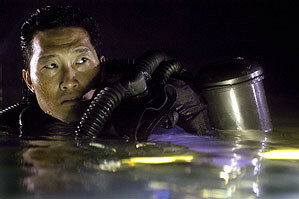 And boy, is their dinner going to be delicious: Eddie Cibrian, Morris Chestnut, Cole Hauser, Daniel Dae Kim, and Rick Ravanello. While these are CGI monsters, the film is sleekly produced, so it looks fantastic visually. Of course, the entire plot is cliché (if you’ve seen one sci-fi film about a crew stuck in a remote location with a bunch of creatures, you’ve seen them all), and there’s nothing very scary here, but it’s still a fun monster movie thrill ride. While The Descent focuses mainly on really tight, claustrophobic surroundings, The Cave is vast and epic in its setting; giant caves allow these creatures to fly and also bring into play large bodies of water for both…um…dry and wet action. As an added bonus, a member of the group becomes infected by the parasite, and then begins to morph as the film progresses, which leads to a nice little zinger ending. This one is rough to get through. 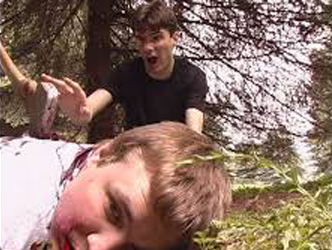 Actually it’s just rough, as in an unpolished low budget take on your typical everyday slasher. All it takes is one glimpse of the visual quality of the film to know what you’re in for. There’s this football player who’s career is pretty much over—which we learn through flashbacks. He heads to a barbecue with his friends. He’s on meds, but his buddy pressures him to have fun and drink. As a result of caving to the peer pressure, he has hallucinations of his friends being slaughtered in the woods. He goes steadily crazy, but of course, his friends begin getting slaughtered for real. Honestly, there are plenty of other b-grade slashers you could be watching instead of bothering with this amateur outing. Hell, it doesn’t even deliver on the campy promise of its title. If you promise me a weenie roast massacre, I need to see at least one sizzling hot weenie. For instance, you’d do better off watching Jingles the Clown. 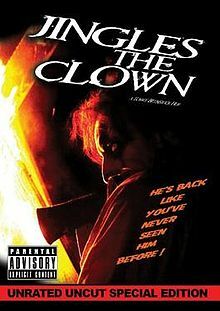 Sure, it’s a sequel to Mr. Jingles, but you in no way need to see the first film (I haven’t) to understand why a clown is hacking people up. When the main girl was just a child, she watched Jingles torture and kill her family (it plays out at the beginning of the movie). Now, a reality show is heading to Jingles’ old haunt to capitalize on the horror. So the main girl tags along with a psychic! Okay, so the scenes of her little dead sister appearing are a disaster and add nothing to the film. All that really matters is Jingles prowling around in the shadows, acting and sounding all evil and creepy before hacking up his victims. Jingles even has a dastardly little secret to tell our main girl, which adds a nasty twist. If you like killer clown slashers, definitely add this to the list of ones you’ve seen. If you’re a fan of Jay and Silent Bob, you should check this one out. Jason Mewes plays an EMT who inadvertently rescues a vampire, brings her home to take care of her, and then begins a relationship with her. Before long, things take a Little Shop of Horrors turn, because Jason needs to bring his vampire girlfriend victims to feed on. While Mewes delivers his usual shtick, the film plays it surprisingly safe rather than going for the truly edgy, crass humor for which he’s known. It feels more like one of those light 80s comedies like My Best Friend is a Vampire or Once Bitten. There are really only two standout scenes for me. First, when Mewes and his vamp battle his ex-girlfriend, and second, the final fight, when Mewes and his older co-worker buddy team up to stake the vamp. Their comic duo chemistry shines here and makes you wish the entire movie had focused on them as vampire slayers. Several of the songs used in Bitten are by an awesome now wave band called Tarzana. They seem to have faded into oblivion, but their song “Every Time” rules. 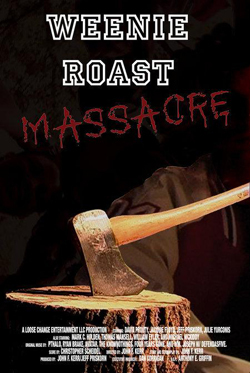 This entry was posted in Movie Times & Television Schedules - Staying Entertained, Scared Silly - Horror Comedy, Sound Check - The Songs Stuck in My Head, The Evil of the Thriller - Everything Horror and tagged Bitten, creature feature, horror comedy, Jason Mewes, slashers, The Cave, Vampire Apocalypse, Weenie Roast Massacre. Bookmark the permalink.